Viknesh Vijayenthiran May 20, 2015 Comment Now! 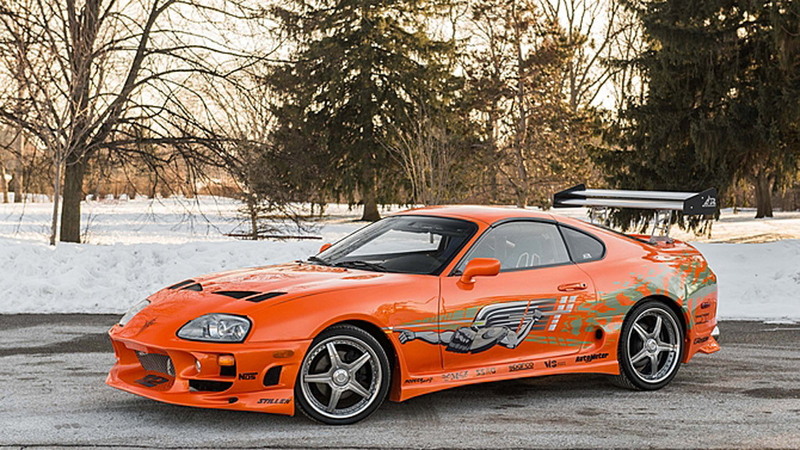 The 1993 Toyota Supra stunt car used during filming for the original Fast and the Furious movie that came out in 2001—and driven by the late Paul Walker—has sold at auction for $185,000. 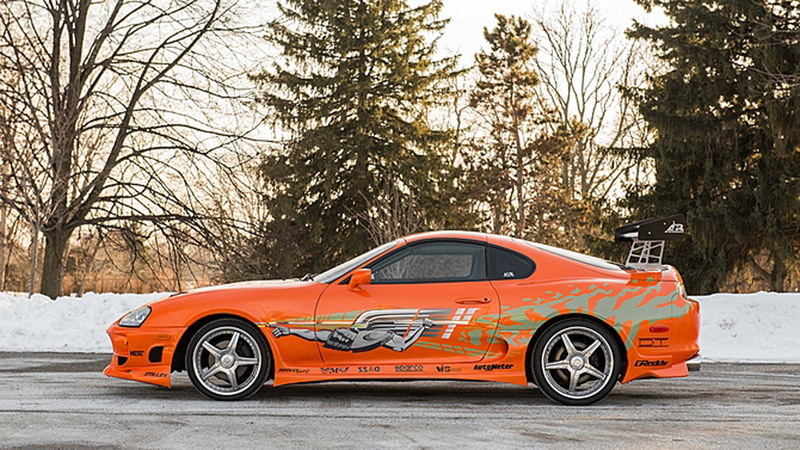 It crossed the block last week at the Mecum Auctions event held in Indianapolis and landed right within its pre-auction estimate of between $150k and $200k. 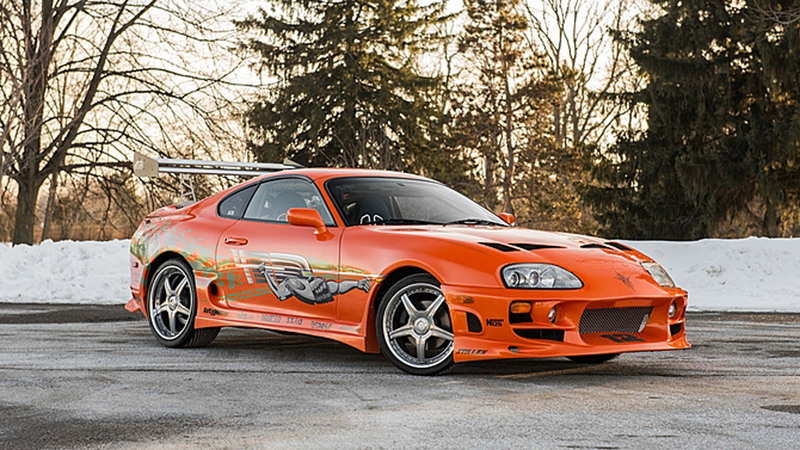 It was one of several MkIV Supras built for the movie by Eddie Paul from The Shark Shop in El Segundo, California, and was featured in several key scenes including the final race between Walker ‘s character Brian O’Connor and Vin Diesel’s Dominic Toretto who was in a 1970 Dodge Charger. In real life, however, it’s unlikely to be winning any races as the car is pretty much bone stock under the skin. 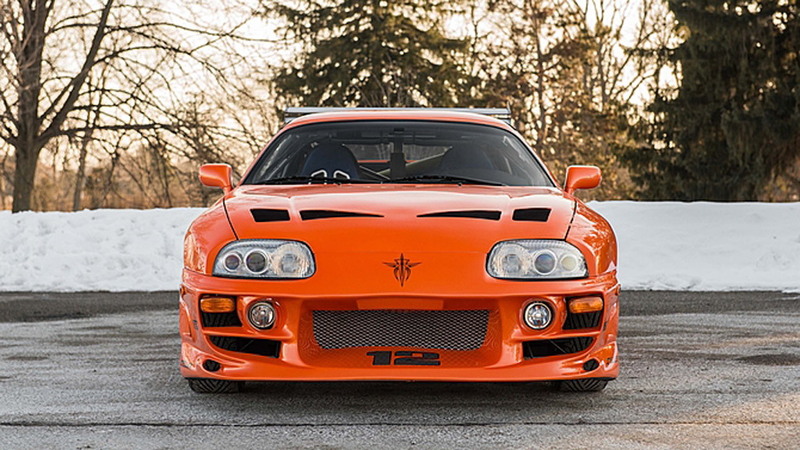 It’s a non-turbo model, meaning its 3.0-liter straight-six engine only musters up around 230 horsepower. On the outside, it wears a Bomex body kit, APR wing, and those now-famous graphics which were added by San Diego’s Modern Image. 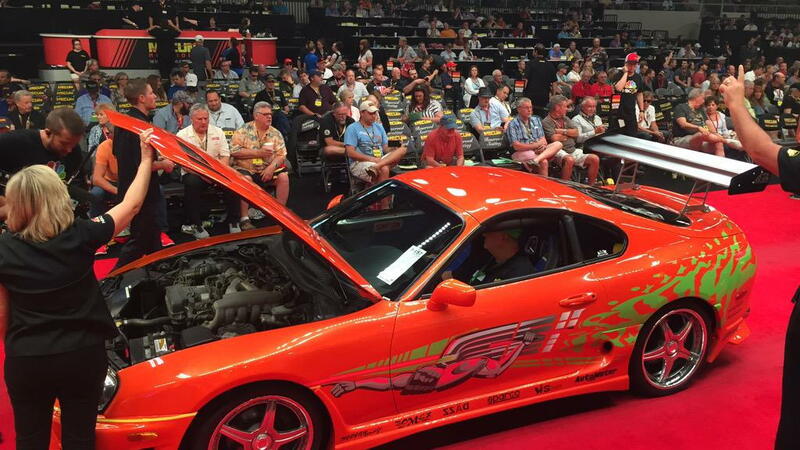 Other highlights from the recent Mecum auction were a 1967 Shelby 427 Cobra Roadster that sold for $1 million as well as a 1971 Ferrari 365 GTB/4 Daytona coupe that sold for $775,000. An original matching numbers 1965 Shelby GT350 was also sold, raising $355,000 in the process.